Many people today are turning back to the ancient natural remedies to achieve good health and well being. However, there are many different teas that exist and each has different uses. One of the more well known types of remedies available is hyssop tea. The use of hyssop dates back centuries to the times of the Greek and Roman civilizations. Similar in appearance to lavender, hyssop tea has a long list of issues that it can offer aid for, setting it high on the list of some of the most beneficial teas available to us. Intestinal blockages can be flushed out with the use of this tea, and a cleaner colon and intestinal lining can be achieved. Overall digestion is a common benefit of drinking hyssop tea, and it is even believed that intestinal parasites may be flushed from the body by using it regularly. It’s been also used to treat a range of other intestinal problems such as stomach pains, cramps, and gas. By aiding these intestinal issues, drinking this tea can lead to easier digestion and greater comfort. The chief use for hyssop tea is for cleansing the body, and this is no more evident than in the case of the respiratory system. Drinking the tea can help the body expel phlegm and other waste products that can build up in the lungs and cause breathing difficulties, especially in the cases of coughs, colds, the flu, bronchitis, and even emphysema. Some users report that it can lower blood pressure, thus reducing the risk of strokes or heart attacks. There is even some evidence that it can help regulate blood sugar in the body, a huge benefit to those suffering from diabetes. It is also believed that it can help combat throat, mouth, and nose infections, and even reduce or eliminate fever sores. This is further evidence that regular use of the tea can help to calm the nerves, assisting in the never ending fight against stress and anxiety. Another good benefit to those that use this tea is that it can help stimulate a poor appetite. This is particularly useful for those that are suffering from a loss of appetite due to common sicknesses. If you’re suffering from any of these conditions, a doctor should be your first stop. But if they determine that there is little that they can do, or if your symptoms are very mild, using hyssop tea to help may be the best thing that you can do for yourself. The costs are almost nonexistent, but the benefits can be massive. 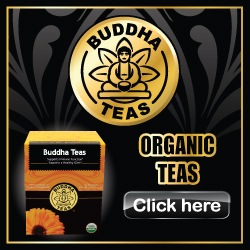 The tea can even provide a boost of nutrients and beneficial chemicals such as flavonoids and tannins. You may be one of the many who have your doubts about herbal remedies and natural teas, but after using them and seeing their effects you’re likely to become a convert.